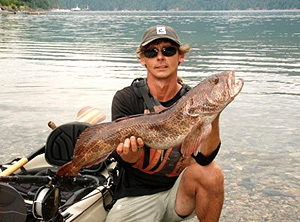 Natural West Coast Adventures will provide all of the gear and equipment you will need for your kayak fishing adventure. All of our kayaks are Wilderness System Tarpon 160 -16 foot fishing kayaks with rudders. They are all outfitted with rod holders and anchors. 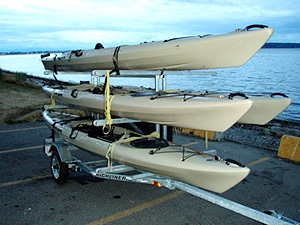 Our kayaks meet transport Canada’s requirements for small vessel regulations and are supplied with PFD’s, paddles, throw bags, pumps and spare paddles. We will also provide fresh and salt water rods and tackle depending on the type of equipment needed for the angled species. We can also make available the use of electronic fish finders, down rigging equipment, rod and paddle leashes as required. Whether your interest if fresh or salt-water angling we have the kayaks and gear to make your fishing adventure enjoyable!